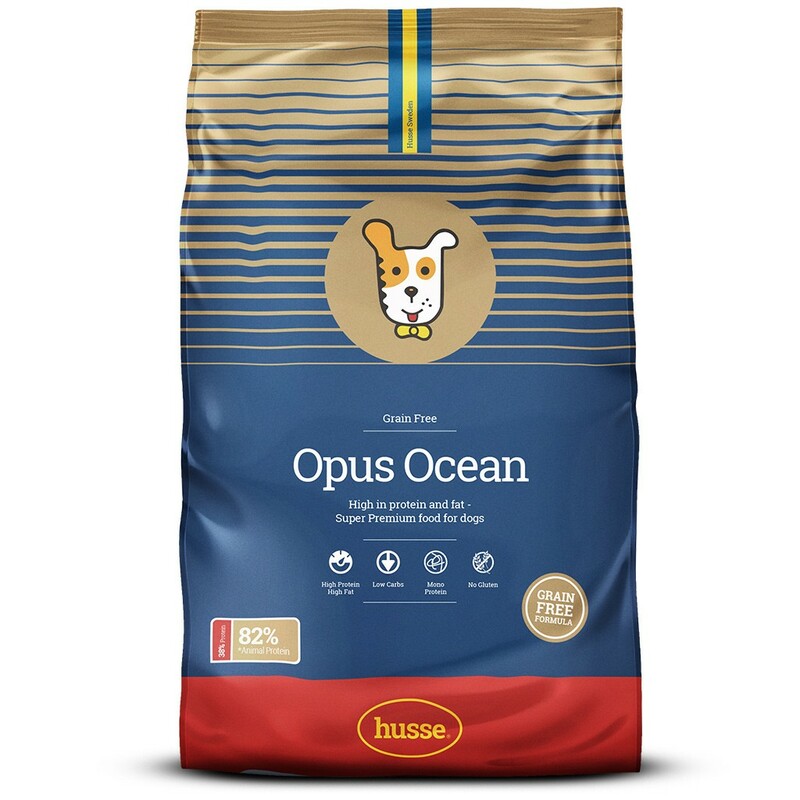 Opus Ocean (salmon and potato) is a complete food. No colourants, preservatives, gluten or cereals. It is suitable for dogs whose owners prefer to give a grain-free formula, based on salmon and potato. The product contains carefully chosen raw materials of the highest quality. It is also suitable for dogs with sensitive digestive system. Opus Ocean contains no cereals and is suitable for dogs with sensitive digestive systems. Highly digestible with carefully selected ingredients based on salmon and potato. Potato is a highly digestible energy source which is very palatable for dogs and is a gluten free ingredient. The salmon and potato recipe is also free from any artificial colourings or flavourings and preserved naturally with a combination of natural tocopherols. Rich in salmon as natural source of Omega-3 fatty acids. Contains salmon as only animal protein source; salmon protein triggers very few food allergies. Enriched with vitamin D for optimal absorption of phosphoru. salmon, potato, peas, animal fat, linseed, vegetable fibres, yeast, hydrolysed animal protein, minerals, salmon oil, fructo-oligosaccharides (0.3%), lecithin, sea algae, Tagetes.